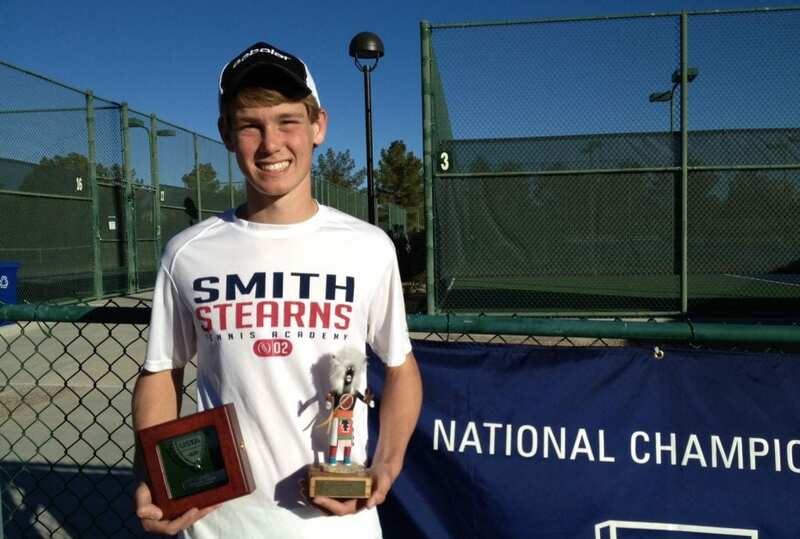 Hampton Drake capped off an excellent year in his junior career by winning two more USTA balls by placing 2nd in singles and 3rd in doubles at the USTA Winter National Championships held December 27th through January 2nd in Scottsdale, Arizona. Playing some of his best tennis, Hampton breezed by #9 seeded Xavier Gonzalez in the round of 16, 6-0,6-2, then followed that up with a convincing win over the #4 seed J.T. Nishimura, 6-1,6-1. In the semifinals he won a long hard fought match over his doubles partner Walker Duncan, 1-6; 6-4; 7-6(3). Playing the #1 seed Sameer Kumar in the finals, Hampton started strong by taking the first set 6-4, before losing the final two sets 6-4, 6-2 in a closely contested final. The finals of the singles championship was Hampton’s 13th match of the tournament as he also had a successful run in the doubles event, placing 3rd with partner Walker Duncan. They overcame the #3 seeded Californian duo of Victor Pham and Logan Staggs, 6-3,4-6,6-3 to earn the bronze ball. With his success in the Winter Nationals, Hampton has moved up to the #4 ranked player nationally in the USTA Boys 16 and under division. Since coming to the academy a year and half ago, Hampton has displayed poise and a great determination to improve his game. He has improved a tremendous amount in short period of time largely due to work ethic and belief in himself. Hampton deserves all of his success and we can’t wait to see what is in store for him in the future. So far he’s pretty unstoppable! We congratulate Hampton on a great tournament and a successful year!